Unlike Basal Cell Carcinoma (BCC) and Squamous Cell Carcinoma (SCC), it is not unusual to see Malignant Melanoma (MM) in young people (ie from mid-teens and 20’s onwards), as well as in the middle-aged and the elderly. Change may occur in a pre-existing pigmented (brown) freckle or congenital naevus (mark) in the skin or a brown or black may suddenly occur out of the blue. Suspicions should be alerted by any such brown mark which enlarges in size or develops an irregular outline, or goes a darker brown or black colour or develops a mixed (variegated) brown/black appearance, or which thickens up proud of the surrounding skin or develops ‘satellite’ brown dots in the adjacent skin or which bleeds or irritates, either just one of the above or any combination of them. Skin changes of this kind should not be treated by the General Practitioner but should be referred urgently to a Consultant Specialist in skin cancer – either a Dermatologist or a Plastic Surgeon. The normal approach is to remove the whole suspicious lesion under local anaesthesia to get a definitive diagnosis. If an MM is confirmed, a further operation is carried out to ensure an adequate area of skin around it is also removed (margin of clearance) to comply with specific guidelines aimed at cure. Repair of this area may need a skin graft (see Surgical Repair section). The detail in the biopsy result may also indicate that further investigations, such as blood tests and scans, are needed to establish the exact type of MM and whether it has spread elsewhere. If further treatment is indicated, it is first discussed and agreed at the local Multi-Disciplinary Meeting (MDM) of skin cancer specialists (this applying to private and to NHS patients), before being discussed and agreed with the patient. Such treatment may involve a variety of approaches, including surgery, immunotherapy, chemotherapy and/or radiotherapy. MM is the most rapidly increasing form of cancer amongst fair-skinned people in the UK owing to ultraviolet light damage to the skin’s pigment cells (melanocytes) through thinning of the ozone layer and excessive exposure (eg through sun-bathing/package holidays without adequate sunblock, tanning machines, etc) and because of an increasingly elderly population. All of this is also pushing up the number deaths from MM in the UK every year. 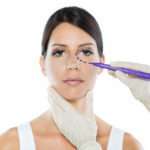 The most important thing is to be suspicious and to act early if a new mole is seen or a mole starts to change as early diagnosis and removal gives the best chance of cure. Unfortunately, the alternative, of delaying (eg “because it doesn’t hurt”) and letting the disease get more advanced before treatment can be started, makes cure progressively less likely and raises the possibility of a fatal outcome. Melanomas removed by Mr Erel on a private basis all get discussed at the local MDM so that rigorous peer-approved standards are applied to further care and treatment.